Name inspired by hippies. This was intended to just be a doodle, but ended up being a cute little drawing. I could edit out some of the doodles around her, but I kind of like that little face next to her. 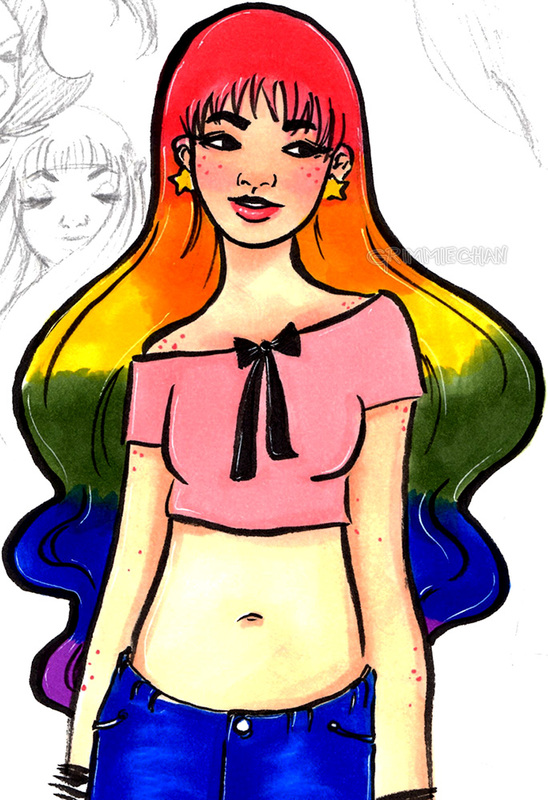 Have I mentioned that I like drawing/painting rainbow hair? I would never do it, but it’s a fun aesthetic.